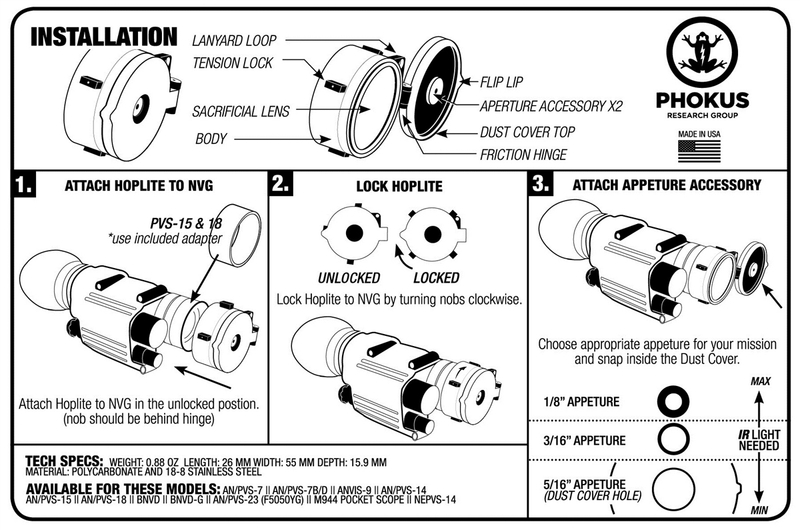 The Hoplite HL-1 was developed by SOF end users to reduce far to near focusing time accomplished through our hinged aperture control. Our patented technology provides unrivaled speed for target identification of threats at 5 feet or 300 yards. 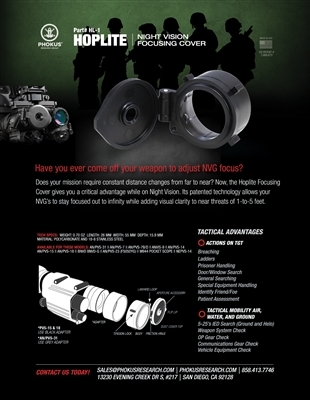 Our hinged cover gives soldiers a critical advantage by allowing NVG's to stay focused out to infinity while simultaneously allowing Target ID of near threats by flipping the cover closed. Soldiers commonly modify their dust covers to gain this same advantage only to discover unreliable transitioning and functional inconsistency. Equipment protection was our next concern. 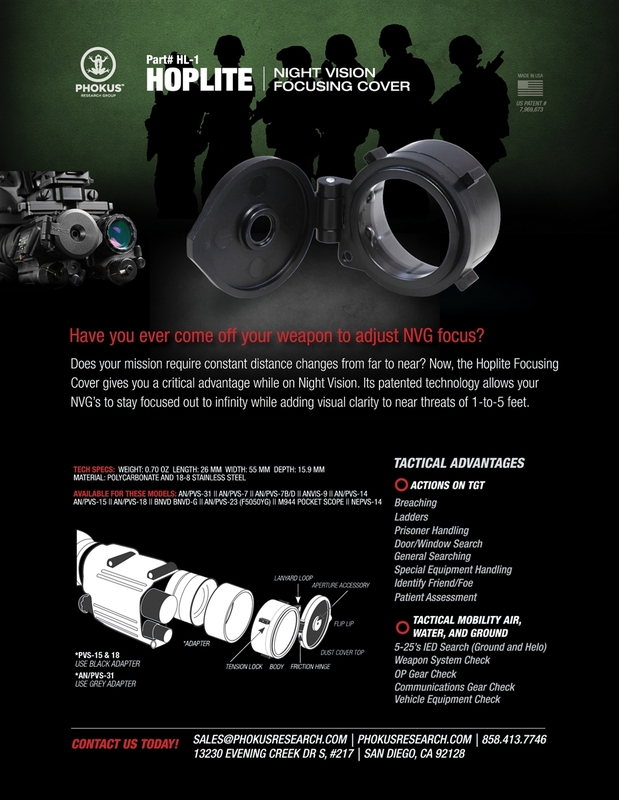 Tens of thousands of NVG's are damaged each year due to lens scratches and cracks. 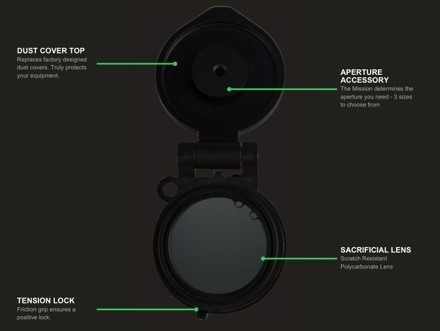 Our improved Hoplite design replaces your existing dust cover and sacrificial lens. Experience 21st century technological advantage while protecting your gear!